Blanco is a fresh and revolutionary advertising company specializing in projects from varied fields. As the team started getting bigger, Blanco partnered with Roy David Architecture Studio to design their new 120 sqm office space located in the Electra Tower, Tel Aviv, Israel. The initial brief focused on creating a dynamic circulation in order to bind all the departments working together inside the firm. 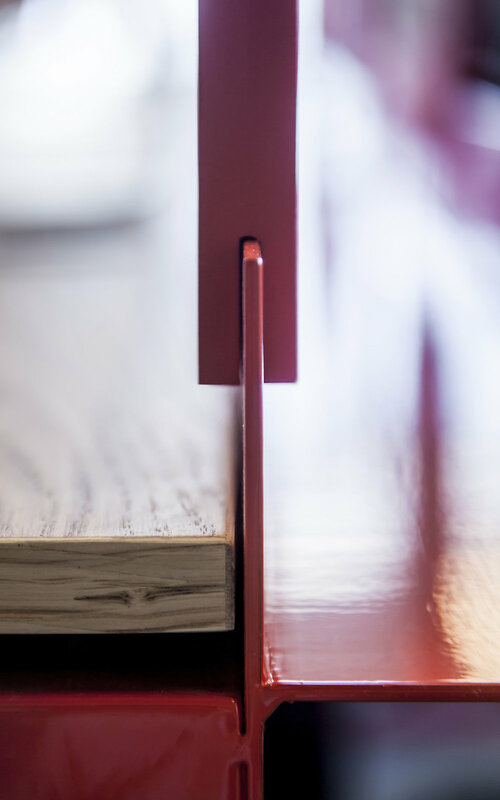 This insight gave life to a design proposal that included a central piece workstation table. This dynamic visual barrier separates the various departments inside the new office space. The overall floor-plan is designed using natural wood along with a specific color palette, directly related to the Blanco brand. Not only the colors dictate the overall style but also a small installation situated right at the entrance of the space. The installation reflects on the idea of growth, symbolized by the use of plants along with a series of wooden strips born from the main reception desk. 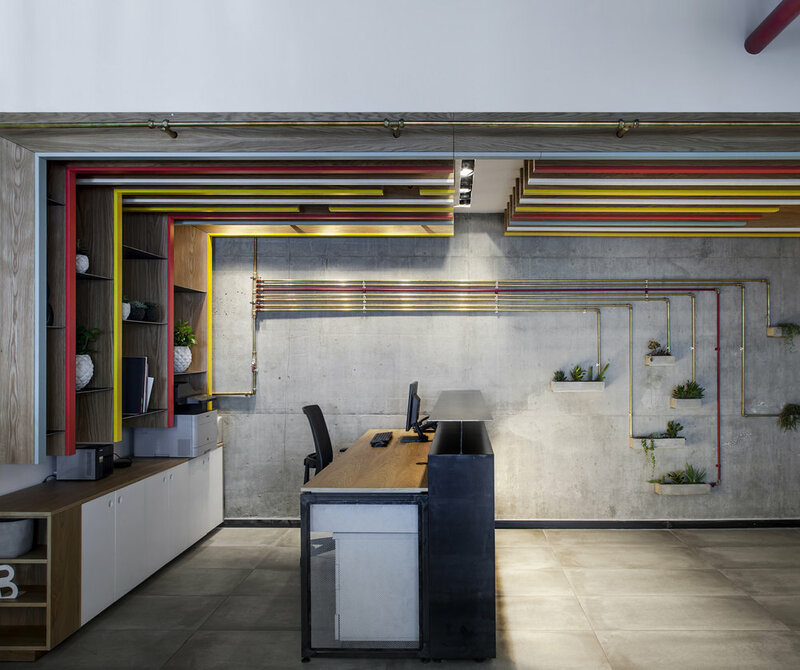 The overall style used inside the office reflects the architecture's studios constant search in industrial design with a touch of color dictated by Blanco's core company values. The final touch of the intervention was done by partnering up with the artist Ohad Benit. 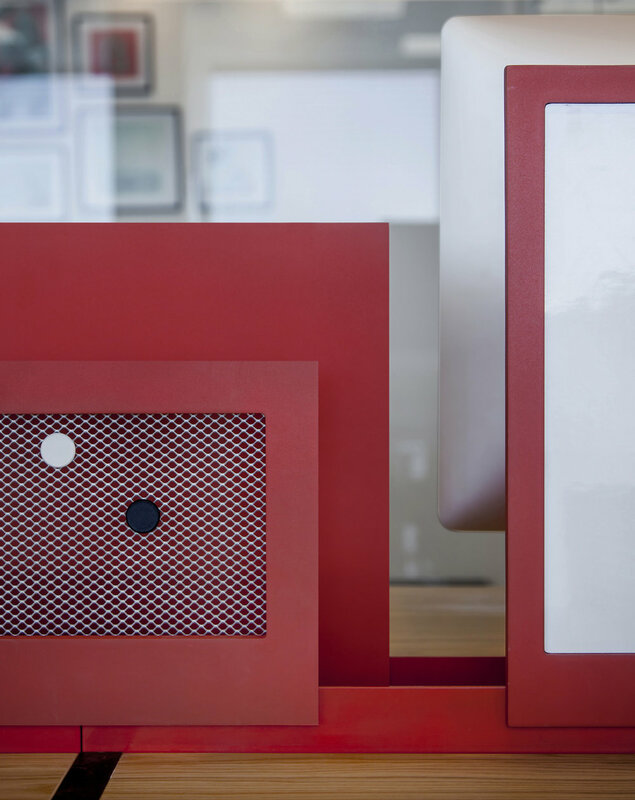 By using the brands main color, red the studio along with the artist created a series of accents making the space feel inspiring and different from any other advertising firm's office.